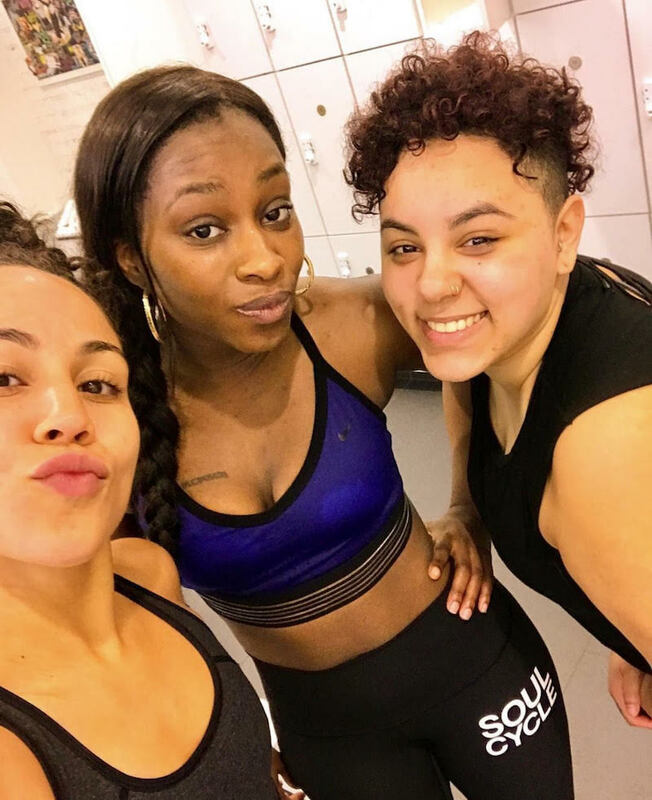 ew York City rider CRYSTAL 'VIOLET' MARRERO hesitantly agreed to join her friends at a SoulCycle class last fall. Within months, she counted her 100th ride and found a family. One invite turned my whole life around. 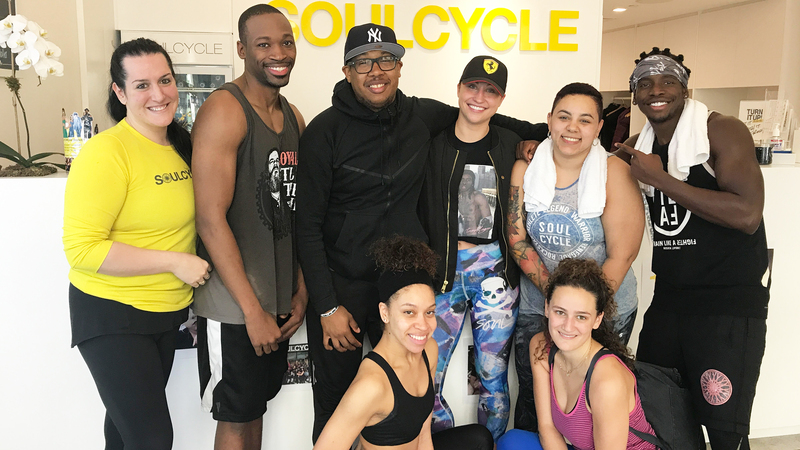 On December 20th, I found myself walking into SoulCycle for the first time. My friends had invited me to TRAMMELL's class a few days prior and I trepidatiously agreed. I would be lying if I said I wasn't scared — I was petrified! Once I walked through E83's Studio B, however, something changed. Trammell found out I was a first-time rider and quickly introduced himself to me. The energy in the room was just contagious. Everyone was on the same page: There's no judgment and we're all here to escape the madness that's on the other side of that door, even for just 45 minutes. My friends and I let go and rode to the beat of the music booming from those speakers. Somehow with all the choreography (which, by the way, was extremely difficult my first time), I still found a way to enjoy this time on the bike and push myself to do something out of my comfort zone. Then the last song came on. I think that was my turning point! Trammell had us close our eyes, think about a time and a place where we thought we weren't good enough, where we thought we couldn't overcome something big, and then use that to turn up the resistance and push through. Two years prior, I had lost my uncle to the big C. He took such good care of himself, was a black belt, and the father of seven boys — he was a superhero! To have someone I admired so much slip away from me in nine months was devastating. It was the hardest time I had to go through and my whole world felt like it was crashing down. I had gained so much weight, literally eating my feelings and throwing my life away, but then SoulCycle happened. It saved my life. Trammell has become my mentor, trainer, instructor, best friend, and brother. He's helped change my mindset and turn my life around in just five months! He brought me into this SoulCycle community, which in turn has become my family. I was accepted by people who knew I wanted to get my life back on track. No judgment — they accepted me for me, flaws and all! Since that day in December, I celebrated my 100th ride, completed a Turn It Up 30 challenge, and went down three to four sizes. I wake up happier, with more energy, feeling like I have a purpose! Some people don't understand how impactful a 45-minute class can be. I recommend it to all my clients, my friends... even my bank teller! You walk into class seeing people you ride with day in and day out. You become one once you lock into that bike. Whatever you're going through, whatever you're pushing for, those 45 minutes change everything. You leave that room feeling like you can do anything, you can be anything, you can overcome ANYTHING. All you have to do is trust in yourself and in those around you.